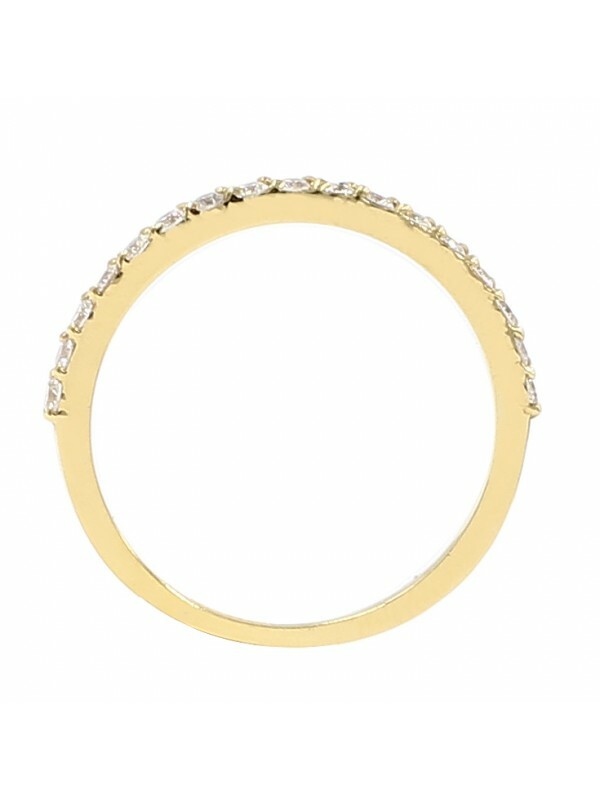 You are viewing a 14K Yellow Gold half eternity diamond band, in size 6.25. 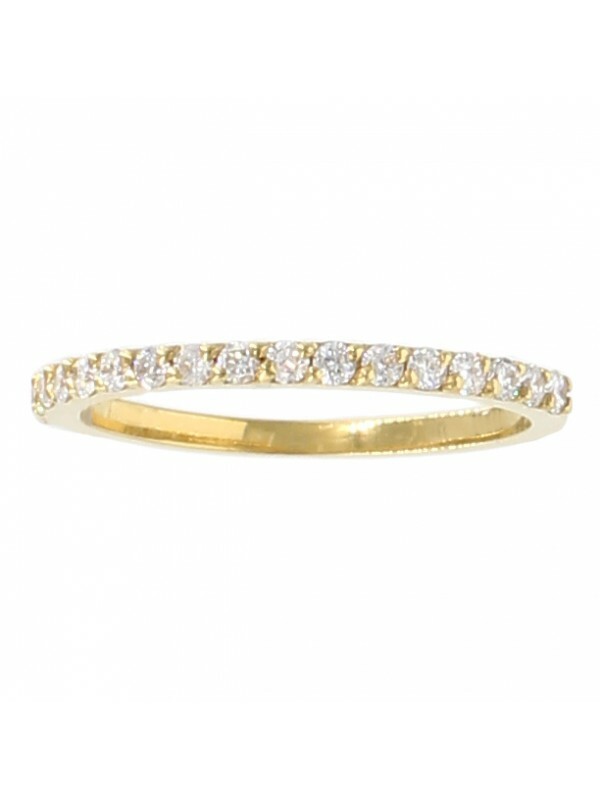 It features 0.38 carat of round cut diamonds going around half of the band. This band will go perfectly alone or stacked with different colors or paired with an engagement ring.